Make these as an appetizer or as a party item in advance. Bake it in 10 to 12 minutes and voila! Sautee all ingredients, with the exception of the mushrooms and cheese of course, and park on the side. 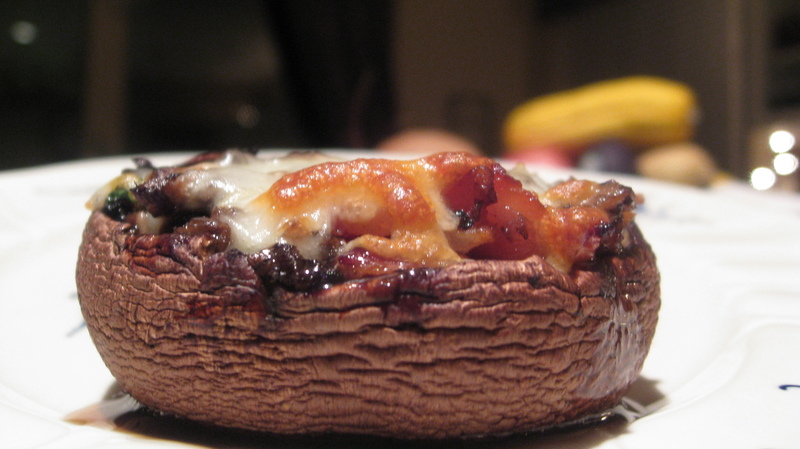 While you’re slowly sautéing the bacon, etc., cut the Portobellos out into little cups with a very sharp knife – carefully so not to destroy the mushroom cup. Finely chop the scooped out mushroom flesh and combine with the saute mixture, fold in well. 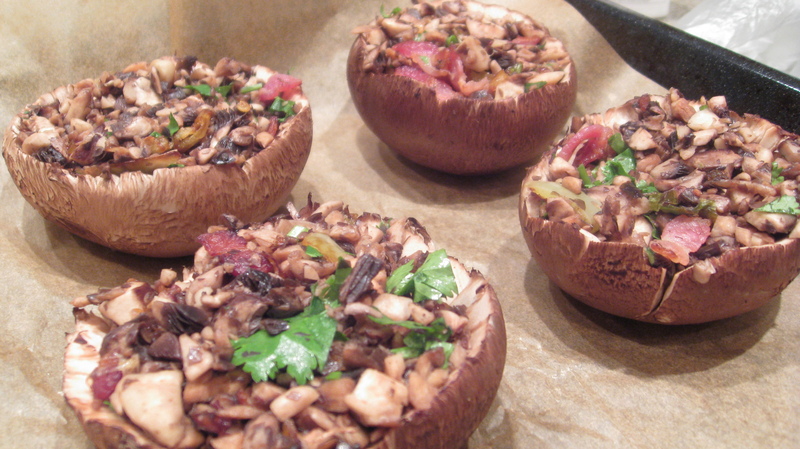 Place your mushroom cups onto parchment paper and carefully stuff them. If you like you can top them with a little shredded cheese and bake on 350 F for 10 – 12 minutes. Serve and enjoy! Yum! When were these served? I’m missing out!! I thought it was a baked potato when i first saw the photo! These look delicious. I’ve enjoyed several of your posts this evening…very nice blog!